Dedicated to providing quality custom millwork, Portada has the capability to design and handcraft the doorway of your dreams. Located in El Paso, Texas, Portada employs talented craftsmen, trained in both modern and traditional workmanship of architectural millwork. Each door is designed according to the owner's or designer's guidelines, engineered by our specialists, and manufactured in-house to meet exacting standards for the industry. Using the finest woods from sustainable forests, Portada strives to design and create doorways of any style or period, with special attention to strength, as well as beauty. With Portada Handcrafted Doorways, your custom wood door is limited only by your imagination. Vinton TX Locksmith invites you to discover the handy and dependable security solutions that are offered by our very experienced team of licensed and insured experts. Locksmith services are in place to better protect your property, and that is precisely what our automotive, residential and commercial solutions do. Whether you need standard services such as key duplication or even 24 hour a day lockout help, you will surely find everything that you need right here with us. Have a look at some of the handy solutions that we offer for an affordable price to customers right here: ignition cylinder replacement, key duplication, patio locks, garage door locks, master keys, smart keys, rekeying locks, gun safe installation, transponder key programming, key removal, drawer locks, and more. There are many different options that you can take advantage of. Locals are pleased to find out that we don’t limit ourselves to only working with products by one or a couple of different manufacturers. We work with various major names, such as Arrow, Kwikset, Ilco, Kaba, Mul-T-Lock, Yale, and Medeco. With us, you will get licensed and insured professionals, diversity in terms of services, and immediate help if need be. 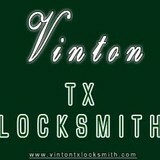 Vinton TX Locksmith is easily the best locksmith serving Vinton, Texas area locals. Get in touch with us to learn more about what we can do to protect your property. Give us a call at your convenience. Anthony TX Locksmith has a crew that knows what customers are looking for, and we believe that this knowledge is something that sets us apart from other businesses. No other locksmith in Anthony, Texas is as dedicated to its customers as we are – we offer commercial, automotive and residential security solutions that will allow you to carry on with your day without fear if you have concerns in regards to your locks. From garage door locks and ignition cylinder replacement to high security sidewinders and transponder key duplication, we make sure to provide everything that you need in one place. We even offer 24 hour a day lockout help so that you can always get back into your property. The only thing you need to do is make one quick phone call. Some of the preferred manufacturers that we work with include Medeco, Baldwin, Falcon, ASSA, Arrow, Mul-T-Lock, and Kaba. We believe in the importance of using reputable brands because they allow us to provide great results. When you call us, you can expect that we will arrive fast during an emergency because we know that the last thing you want to do is wait. Our licensed and insured professionals make sure to go above and beyond, whether you call for smart keys, lock replacement, lock installation, the rekeying of locks, panic bars, patio locks or anything else. Make an appointment or let us know if you need 24/7 help. 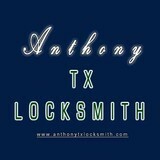 Anthony TX Locksmith looks forward to helping you out. we hand craft and custom make wood and iron doors, furniture, kitchen, closets, stained and beveled glass. We have been crafting for homes since 1972. Our specialty is creating a custom designed piece to the client's exact specifications. Can't find that western inspired door you want? What about that rustic bar or cabinet? No problem. Let us custom build it for you! We can create that door or piece of furniture that will not only fit the size you need, but the design concept that you want. Browse our catalog of doors, furniture and hardware. All hand crafted and one of a kind! The West Studio is dedicated to providing you with the door or entryway that will set your home apart from any other. Our hardware is designed to provide you with that rustic Southwestern look you have been looking for. Choose from a wide selection of hand forged handles, hinges, latches and decorative mounts. We love all things reminiscent of the wild west, we even have old wagons available! Strong Lock and Key is a locally owned and operated, 24/7 mobile emergency locksmith company serving the good people in the Greater El Paso area of Horizon City, Chaparral and Sunland Park. We provide fast, same-day locksmith services. Strong Lock and Key is a name you can trust. Dedication to excellence and customer satisfaction is our number one priority. Whether you are facing a car, home or office lockout, want to re-key your locks, or need a lock change, Strong Lock and Key can help! In order to give you the best and fastest service, we are up to date on the latest technology, and can help you with door repair, car lock outs, duplicate key creation, new lock installation, lock repair, transponder keys and access control systems to name a few. Customer service is our number one priority, so whatever locksmith or security services you need, we will go the extra mile in order to help you. Our professional technicians are friendly, honest and reliable. We believe in high quality workmanship and affordable services. When you call Strong Lock and Key, you can rest easy knowing that you will get the best price and a true final quote for what you will be charged. Custom door gallery is a top quality door and architectural products company specializing in entry ways, stair parts, gates, wood beams, and ceiling parts. Our company has been producing custom products for the home for 30 years. Serving El Paso TX and Las Cruces NM for over 10 years with honesty and respect, at Trim Team we target with commitment to supply the best products on the market when it comes to doors, windows and millwork. Our company possesses the expertise and resources to provide our customers with the best product brands and product diversification in order to meet the needs of every customer in our industry. In addition to our products, we also offer services specifically design for the professional building industry. We specialize on serving residential builders, general contractors, and professional remodelers, please enjoy and review our newly designed web page and get an inside view of our products and services offer by our company. 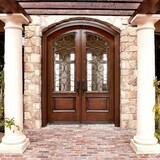 Artistic Entryways Millwork Co. Inc.
What kind of services do El Paso door dealers provide? Door dealers are responsible for a variety of services, including door installation, replacement, door repair and custom door design. If you need a new door, El Paso, TX door dealers will help you determine what kind you need, as well as shape, color, size and more. From barn doors to French doors to front doors, these professionals can help you choose, install and maintain your door investments. Wood doors are beautiful, versatile and tend to be the most popular choice for both interior and exterior doors; they are easy to custom build, and include oak, cherry, walnut, mahogany, maple, fir and pine. Some standard wood doors have MDF cores wrapped in wood veneers, which minimizes the chances of warping as real wood expands when wet and contracts when dry. If your heart is set on a wood door but you think the El Paso, TX climate might cause it to warp, talk to your door professional about a furniture-grade veneered door. Aluminum doors have an insulated core and come in a variety of colors and finishes. With a baked-on enamel finish, they won’t rust or need repainting, and many come with a 20-year warranty. Next to wood they are the most expensive and have to be custom-made. A El Paso, TX door dealer can help you find a reputable aluminum door manufacturer. Find door dealers and installers in El Paso, TX on Houzz. 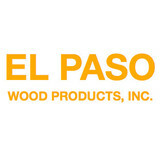 Look in the Professionals section of our website and search for El Paso, TX door dealers and installers. Read reviews, look at project photos and see how a pro can help with your home improvement project.